Say “Hi” in Alliance chat and introduce yourself. Read Corp Bulletins in-game (open the Corporation window, accessible via the Social menu). Visit /r/evescout and /r/signalcartel subreddits (you’ll need permissions for the latter). Check the in-game calendar for any scheduled events. Setup Mumble for voice communications. 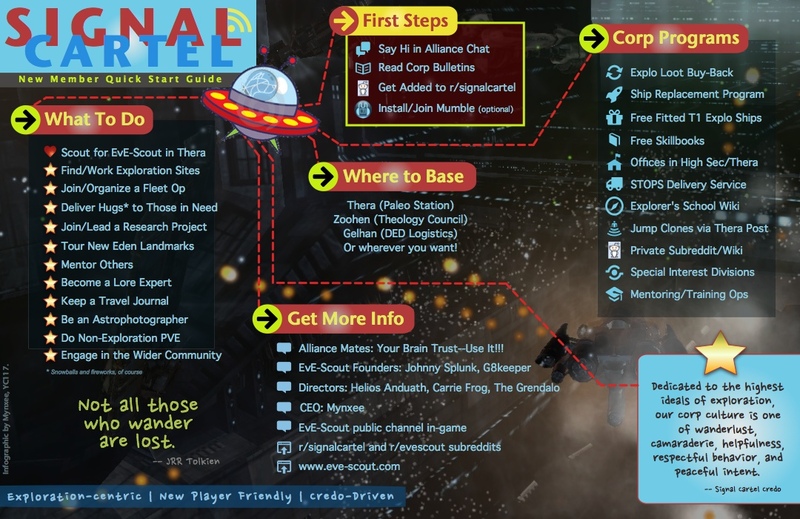 Information provided in alliance MOTD. If you are looking to move to our Headquarters in Thera, ask for help with your move.